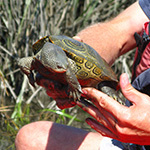 The Jr. Naturalist program is a fun, hands-on approach to exploring nature. Each individual class can be taken on its own. If you take all five classes participants can become an official Kiawah Island Nature Program Jr. Naturalist, and receive a free Rite in the Rain Notebook. 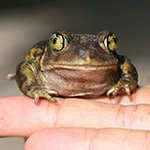 Each session will target a different area of nature, and give each child a better appreciation of our native species. Classes are available throughout the week in the Summer and Spring, and by request in the Fall and Winter. Check out our schedule of events. 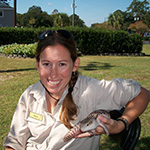 For reservations or more information, please call the Heron Park Nature Center at (843) 768-6001. 24-hour cancellation policy applies, 2 child minimum required. If you’ve ever wanted to get behind the scenes of the Heron Park Nature Center and meet our resident animals face to face, this tour is for you! 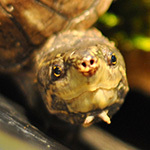 Learn what these animals need to survive in the wild and how our naturalists meet their needs here at the nature center. We’ll prepare and offer their food and make sure they have a healthy living environment. The salt marsh behind the island is packed with wildlife rarely seen and waiting to be discovered. We will meet at Mingo Point Outpost where we will board our motorboat and head out for some on-the-water exploration. From sea squirts, to sponges, and even some oysters, these creatures are sure to keep everyone wanting to see more. And no trip to the marsh is complete without checking our very own crab pots. 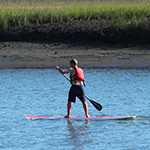 Step back in time and experience life on Kiawah Island as the Native Americans once did. Use your senses to observe nature and learn the importance of using every part of the environment. In this class, you will discover the local environment using techniques of the Native Americans while learning their traditions and cultures. Naturalists will guide you on an island hike then conclude with a project using natural materials. Who’s ready for a maritime adventure? The maritime forest is a unique ecosystem that makes up a large part of Kiawah Island. 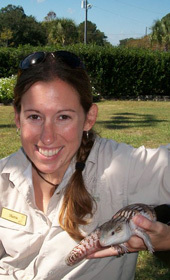 Naturalists will lead kids on a guided hike to explore a pristine part of the island. Here, we will discover different plants and animals and learn about factors of the forest, their importance, and how they work together. Calling all fledgling birders! Have you ever wondered what types of feathered friends are flying around you? Who is the red one? What about the ones on the beach? 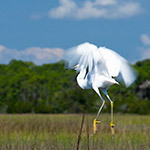 In this class, you will explore various habitats to learn about the most common birds on Kiawah. Equipped with a pair of binoculars and a bird-bingo board game, you’re sure to be a junior birder in no time! Time for the kids to get out and have an adventure of their own. After some quick tips, it’s time to jump in your own boat and have some fun on the water. From races in the river to some fun in the mud, you’re sure to make some new friends while on this trip! This trip is done in single kayaks. $60/person. $55 for KIGR guests and KICA members. 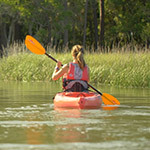 Tour time is dependent on the tide, call for schedule, 843.768.6001.